Seemingly having been named after a character in a populate line of computer games (get it? 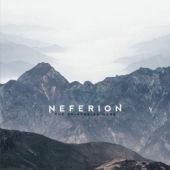 ), Goth Metal Neferion was born from the cold steps of Finland. Coming at you with a variety of styles from Gothic, Thrash to just Traditional Metal it all seemed to be a very good idea. Ya would think, right? Led by one of the best unknown female vocalists (Maija Saari), the promise of an amazing album was there, yet it sadly waned and faded. The effortless power and deep passion fuelled vocals which soared and captured was not being supported by any of the other members in the band. It seemed that she was the stand-out talent, and not the band. There seems to be a real disconnect here, and a lack of creativity with the musicians here and yet there is hope along one line. Out of the four songs on the EP/Demo I think 'Argo' really showcases the true and constant talent of Miss Saari’s vocals. The gruffer vocal tries are good, and shows a woman with power much like Arch Enemy’s Angela Gossow has - but lacks the stylistic nuances she needs. With that said, it is the cleaner but still soaring and powerful vocal style that Maija ends up showing the talent that she has. If she could sing like this every single time the possibilities are truly endless for this remarkable young woman. I am thinking that Miss Saari is the true star of this band, and perhaps should find other musicians that complement and challenge her vocals and not allow her to do the Death Metal styled stuff. As it stands now this is a barely mediocre band that uses their amazing singer in all of the wrong ways. If Neferion had any class, they would let this girl go and just fade away into their averageness.